Las Vegas, Nevada - served by major airlines - is our starting and ending point. Plan to arrive in Las Vegas the afternoon or evening prior to your trail ride whether you fly or drive. If it is closer, more convenient, you can start your trip at Bryce Canyon, Utah. You will need to contact our office to make these arrangements. 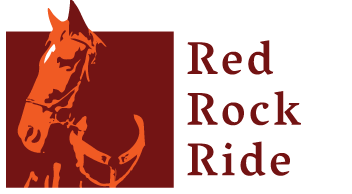 When you call make sure you ask for group reservation rate for the Red Rock Ride Group, that rate is good until 30 days before your ride starts. A representative will meet you at 7:00 PM the evening before your trip in the motel lobby area. The meeting will last 30-45 minutes. A representative will discuss the trip and answer any last minute questions you may have. You should be packed, dressed in your riding clothes and ready to go early the morning of the trip - usually 5:00 AM. Our representative will confirm the exact departure time the evening before. The trail ride ends Sunday morning in Las Vegas, NV. We will transport you back to the hotel in Las Vegas, Nevada. We normally arrive around 12:00 noon Las Vegas time. As arrival times can vary due to unforeseen circumstances we suggest that return flights home be scheduled no earlier than 2:00 PM Las Vegas time. Many a wonderful vacation has been spoiled by wearing uncomfortable clothing or the wrong kind of shoes. We want you to have a good time on your trail ride so please take these suggestions into consideration. Leather boots need to be well broken in, a pair of tennis shoes or other comfortable shoes should be brought along to wear in camp. Open toed shoes provide no protection from cactus and insects. Weather conditions are unpredictable and we recommend that you bring a water resistant coat or slicker to tie behind your saddle. Baseball caps are ok, but cowboy hats are best for shedding rain and provide protection from the sun, make sure your cowboy hat has a stamped or choke string on it. We suggest that you bring a sleeping bag with a sheet . We will provide a foam pad and cot. Because the trail ride is in the spring or fall, we advise you to bring clothing for warm weather as well as cold weather. We suggest that you use heavy duty canvas duffle bags or sturdy luggage that can take abuse. This is a western outdoor vacation. It is physically demanding and participants should be in good physical condition. It is important that participants understand that we will make every reasonable effort to provide emergency medical services and evacuation if needed, but sometimes we will be in very remote sites that will take extra time to provide the needed medical attention. We feel it is prudent to purchase short term travel, cancellation and accident insurance. Policies can be purchases to cover the length of your vacation and include personal accident coverage and/or luggage and personal affects. In addition check with your insurance agent to see if your home owners policy covers loss or damage to your camera, luggage, etc. If you are on a special diet you may bring your own food or notify us and we will try and accommodate your needs. If you have any other special needs or requirements please contact our office. Please be sure to write us (or call if there is less than 15 days before your trip) if any change in your plans has occurred which affects your trail ride. Our telephone number. Is 435-679-8665, Monday thru Friday 8:30 a.m. to 5:00 p.m. We can often be reached at the same number on weekends or during evening hours. There will be opportunities to purchase souvenirs and mementos of your trip, so we suggest you bring some cash with you. You may want to bring additional money for wrangler gratuities.